Attach the strip of aluminum and related plastic skids. 2-pack including screws / pop rivets. 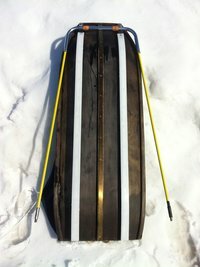 A fiberglass sled used pop rivets (Use a 4 mm drill). Plastic Meden is interchangeable and can be purchased separately. You could buy a couple extra to have in reserve. 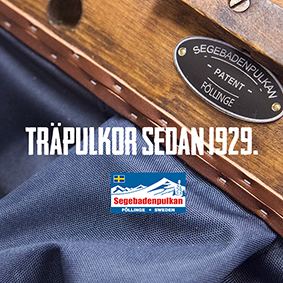 This system can also be mounted on most of the markets where sledges (also home-made). 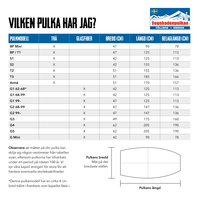 Call or email if you want to have something of their own measurements and we'll fix it. 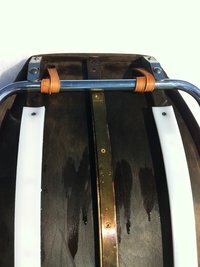 Welcome to place a brass strip on the skid in the middle, you can extend the life of the sled.